500GB Samsung 850 EVO SSD. In stock at Amazon France. NOTE: I've guesstimated the shipping. Can't get it more exact unless I go through the motions of ordering it. If there's a more accurate number, please let me know in the comments and I'll fix ASAP. Thanks! £189.99 for 1GB, you definitely got ripped off. Costs a lot more than that now for a 1TB Samsung 850 EVO! £250+ at the moment. Costs a lot more than that now for a 1TB Samsung 850 EVO! 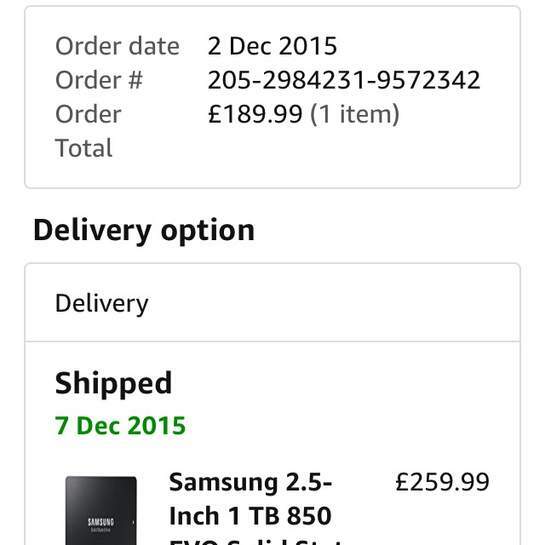 £250+ at the …Costs a lot more than that now for a 1TB Samsung 850 EVO! £250+ at the moment. Supply and demand. Although more SSD are being manufactured, MANY more people want them therefore the price is rising. You want an SSD now then you have to pay the going rate, hindsight is a wonderful thing. Oh it's tempting. But I'm going to refrain. I don't need the space for much except games, and I like games but play rarely. Supply and demand. Although more SSD are being manufactured, MANY more …Supply and demand. 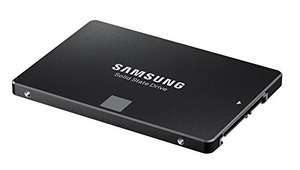 Although more SSD are being manufactured, MANY more people want them therefore the price is rising. Why not go back even further.....to a time when your comment was original. it's a good deal when you need one, it's not if you don't. There was around the same time of a year when HUKD was filled with loads of SSD deals, and when it was £79 for 500GB, £169 for 1TB, I bought quite a few which i don't really need at that time, but I don't think you should do this at this price and at this stage of product life cycle. What discount did you get then as picture shows £259.99?